Maureen Abood is a second-generation Lebanese American. A long-time writer and cook, her work has been published in The Washington Post, Saveur, The Huffington Post, Bakeless Sweets and elsewhere. She furthered her passion for food at Tante Marie’s Cooking School in San Francisco, from which she graduated in 2010. Maureen lives in Harbor Springs, Michigan. Pomegranates and pistachios. Floral waters and cinnamon. Bulgur wheat, lentils, and succulent lamb. These were the lush ingredients of Maureen Abood's childhood, growing up as a Lebanese-American in Northern Michigan. As an adult, Maureen was able to use her culinary expertise to revisit the recipes she was reared on, and give them a contemporary American take. She first chronicled her riffs on traditional cuisine in her popular blog, Rose Water and Orange Blossoms. She now shares more than 100 of her innovative and classic Lebanese recipes in this cookbook of the same name. Taking a seasonal, ingredient-focused approach, Maureen presents irresistible dishes that will delight readers who yearn for evocative flavors and healthful components. Recipes include Pistachio Crusted White Fish, Stone Fruit Salad with Flower Waters and Shaved Coconut, and Spiced Sweet Bread with Rose Water Milk Glaze. Weaved throughout are Maureen's stories of her Lebanese upbringing, her travels, and life in a lakeside Michigan town. 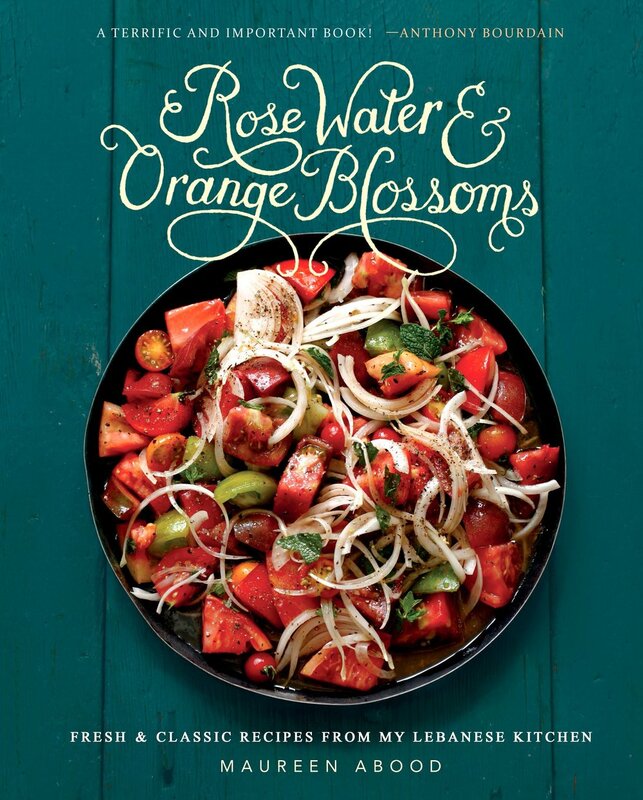 Rose Water and Orange Blossoms is a celebration of Middle East cuisine, and of using tradition as a springboard for newly delicious dishes.